Ce document au format PDF 1.5 a été généré par Microsoft® Word 2013, et a été envoyé sur fichier-pdf.fr le 24/02/2017 à 10:42, depuis l'adresse IP 90.34.x.x. La présente page de téléchargement du fichier a été vue 256 fois. Taille du document: 1.9 Mo (22 pages). Linear topology: RT7321 and PFC MR-16 LED driver: RT8479. flicker, as it is able to account for differences in waveform shape (ie duty-cycle). manufacturers specify the percent flicker to be less than 30% in the 100Hz - 120Hz frequency range. LED current conditions. Stable LED driving current is therefore the main criteria to achieve flicker free operation in LED lamps. characteristics need to be examined. Figure 2 shows the relation between LED current and relative luminous flux of a Cree XLAMP MX-6 LED high brightness LED. resistance needs to be determined around the average LED current operating point. of LEDs. When paralleling LEDs, the dynamic resistance needs to be divided by the number of LEDs in parallel. constant (average) current to the LED string. current into DC voltage. This can be either C1 or C2 in Figure 4.
only selected in low power (&lt;6W) LED driver applications. 100Hz/120Hz flicker of these LED lamps. f is double the line frequency. 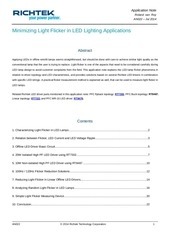 measurements are explained, and some solutions to reduce LED flicker are discussed. power factor. The converter switches in boundary conduction mode. The below picture shows a reference design for a 20W T8 application. Max light flicker is defined at 30%. of 49V at 400mA current. Each LED string will thus receive 50mA current. dynamic resistance of the LED string assembly. main buffer element is output capacitor EC1. A 330µF capacitor was selected for EC1. 230V/50Hz input and using a 330µF output capacitor. slightly lower than calculated from the LED graphs: 3.7V/279mA = 13.6Ω. sensor, see chapter 9). The LED current ripple is 34.8%, the measured flicker is 30.4%, very close to the required value. sixteen Cree XLAMP MX-6 LED in series for 49V LED string voltage. From the luminance vs. current graph: For 30% light flicker, the LED current may vary +/- 70mA or 35%. the total LED string assembly is 1.7*16 = 27.2Ω (note that the dynamic resistance of the LED is higher in the low current range). the IC supply, and the circuit only uses standard drum coil inductors. 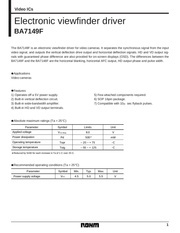 A 220uF output capacitor was selected for EC1. Figure 14 shows the output measurements for this converter. sensor, see chapter 9). The measured flicker is 26.1%, well below the max requirement. may not meet the requirements, and this solution is normally only used for low power designs. and reduces the converter efficiency. simple circuit solution is shown in Figure 15.
or at GND, using PNP transistors. estimated by (VOUTPP/2 +1.2V)*ILED . charging of the filter capacitor during start-up. 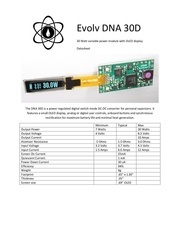 dissipation, the ripple remover solution is only suitable for lower power designs. with separate Buck stage at secondary side or a non-isolated PFC Boost + Buck, see examples in Figure 17.
or in series, thereby increase LED usage over the full mains cycle. See Figure 18.
example will help to clarify this. Figure 19 shows a 7W linear LED driver design using RT7321CGGSP and Philips Lumiled high voltage LEDs. 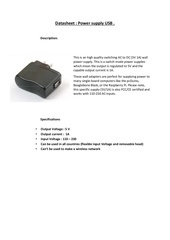 which is a suitable value for RT7321 230V application. The circuit needs a small X-capacitor and series resistor for EMI purposes. light-output of this 7W design. index can be used instead. 0.28, which is still a relatively large value. crossing, and keep the power factor at an acceptable value. Figure 21 shows the circuit solution. capacitors are small enough to fit on the LED board. Power factor is still acceptable at 0.87. 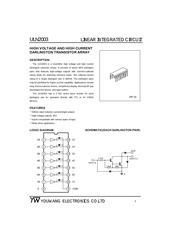 The measured combined total LED current and light-output of this solution are shown in Figure 22.
that require very small form factor, it will be an attractive alternative to switch-mode LED drivers. combination with existing lighting peripherals like dimmers or electronic transformers. and some adoptions need to be made to the LED lamp circuit to make it suitable to be used in combination with the equipment. circuit needs a minimum load current to start up. Halogen lamps with power ranging from 20W to 60W satisfy these conditions. The LED lamp input rectifier stage does not resemble a resistive load at all; it behaves more like a capacitor. and can result in repeated shut-down/re-start cycles. electronic transformer. The scope plot on the right shows the related waveforms. input current must be stable and must satisfy the minimum operation current of the electronic transformer. impedance will resemble a resistive load. The Buck stage is fed from the Boost output voltage where C1 is the buffer element. This Boost voltage is stable and high enough for stepping down to LED strings up to 5 high brightness LEDs in series. LEDs used in this design are four Philips Lumiled Luxeon Rebel LEDs connected in series. fixed off time peak current control, which provides a defined minimum input peak current and natural PFC current modulation. control the LED current via an external dimming signal or allows for temperature controlled current fold-back via an NTC resistor. improves the reliability of the complete application. photo sensor with build-in amplifier can be used. The output waveform can be show on the oscilloscope. The schematic in Figure 28 shows a simple light to voltage converter using the TSL257 IC. light flicker measurements. TSL257 is not expensive, and can be bought at Farnell or Digikey. The following pictures show how to build such a tool. box with a 3mm hole drilled in the top. The TSL257 is placed with the sensor towards the hole. Then the sensor is fixed with non-transparent epoxy glue. Finally the other components are connected. sufficient light attenuation. For the test tool, 8 layers of paper were used. result from its use. No license is granted by implication or otherwise under any patent or patent rights of Richtek or its subsidiaries. Ce fichier a été mis en ligne par un utilisateur du site. Identifiant unique du document: 00492158.